CHRISTUS Provider Network(CPN) is a dba for C.H. Wilkinson Physician Network which was formed in 1993 as a Texas 501(c)(3) (not-for-profit) corporation. We are a faith-based physician employment and practice management organization employing over 90 physicians and other healthcare providers in family practice, internal medicine, pediatrics, obstetrics/gynecology and other specialties. We operate more than 40 medical clinics throughout Louisiana and Texas and provide staffing for several hospital based programs. 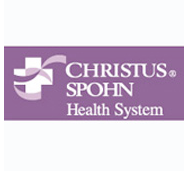 CPN is a wholly-owned subsidiary of CHRISTUS Health, with a deep-rooted mission of extending the healing ministry of Jesus Christ. CPN focuses on delivering excellent healthcare in a service-focused, compassionate environment. As a part of CHRISTUS Health, a multi-state, not-for-profit healthcare system, we possess important alliances and the necessary financial strength to succeed in today's dynamic healthcare delivery marketplace. Our strength also comes from a deeply-entrenched management philosophy unique to CPN, one which works on a platform of respect for physician leadership and genuine partnership, a combination requiring integrity and open communication every step of the way. We encourage our Associates, physicians and other healthcare providers to take an active role in addressing the issues which affect patient care in today's complicated healthcare market. Our clinics accept a variety of health plans, which vary from clinic to clinic. We encourage you to select a physician or other healthcare provider and then call the office for more details on current health plan information, operating hours, and services offered. Corpus Christi is a coastal city in the South Texas region of the U.S. state of Texas. It is the principal city of the three-county Corpus Christi Metropolitan Statistical Area as well as the larger Corpus Christi-Kingsville Combined Statistical Area. The translation from Latin of the city's name is Body of Christ, given to the settlement by the Spanish, in honor of the Blessed Sacrament (Eucharist). The city has been nicknamed the "Sparkling City by the Sea", particularly in literature promoting tourism. The city is home to the Naval Air Station Corpus Christi, Port Of Corpus Christi, the 5th largest port in the nation and is served by the Corpus Christi International Airport. To learn more about the Corpus Christi community, click here.